“Only a handful of people are willing to put themselves in peril to build a world in which we are all free to say what we believe.” So declared PEN American Center, the U.S. branch of an international organization of writers committed to protecting freedom of expression and human rights, in awarding the Toni and James C. Goodale Freedom of Expression Courage Award to the French satirical journal, Charlie Hebdo. In doing so, the organization revived a debate that flared to life immediately after radical Islamist fundamentalists, incensed by the journal’s often crude cartoons of Muhammad, massacred 12 of the journal’s staff in their Paris office in January of this year. Six authors who had planned to host table’s at PEN’s annual gala earlier this week withdrew, and 145 signed a letter protesting the award. The more I read about the Charlie Hebdo/PEN award controversy, the more ambivalent I became. In many respects, I agree with Prose. I admired the courage of the journal’s staff as well as their admirable history of resisting intimidation. (They reopened after the firebombing of their offices in 2011 and did so again shortly after the massacres in January.) But in my admittedly very limited exposure to their cartoons, I’d found them neither funny nor illuminating. To be fair, unlike the proudly racist organizer of the recent Muhammad Art Exhibit and Contest in Garland, Texas, Charlie Hebdo’s stated aspiration is to give “equal opportunity offense” to all forms of organized religion. But satire is at its best when attacking the majority group, not the minority one. Satire illuminates, but ridicule humiliates. To many eyes, including mine, at least some of Charlie Hebdo’s cartoons seemed to do the latter, regardless of whether that was the cartoonists' intent. 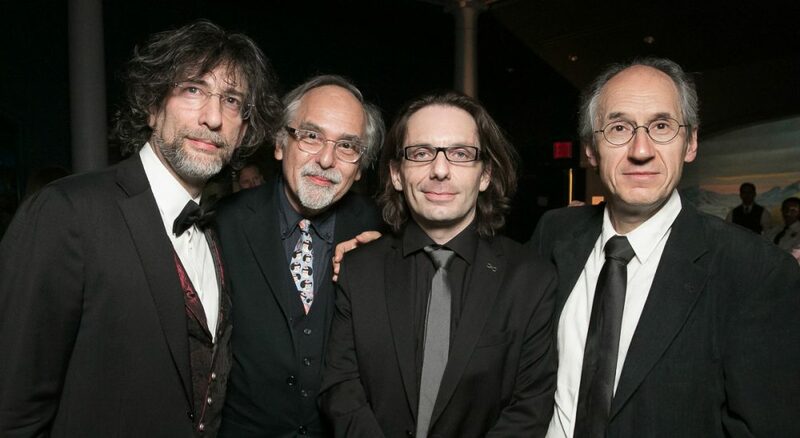 Like Prose, Michael Ondaatje, Junot Diaz, Joyce Carol Oates and others who opposed the free speech award, I, too, was heartsick and enraged by the killings of Charlie Hebdo’s staff but also concerned that PEN seemed to be conflating victims with heroes. Perhaps it’s a manifestation of our country’s seemingly endless state of war, but we have far too much talk of heroes in general. Trayvon Martin, Michael Brown, Eric Garner and Freddie Gray may not have been heroic, but they were undisputedly victims. By the same token, being a casualty of senseless or fanatical violence doesn’t make one a hero. I was unable to pick a side. For me, that felt alien and frustrating, but also exhilarating. Rights vs. responsibilities. Satire vs. ridicule. Heroes vs. victims. The more I read about the Charlie Hebdo/PEN award controversy, the more ambivalent I became. My conclusions waffled with each eloquent, heartfelt and principled argument I encountered. And though Salman Rushdie depressed the quality of discourse with his furious and insulting tweets about the authors who withdrew from the gala (“Just 6 pussies. Six Authors in Search of a bit of Character”), I couldn’t dismiss his critique on the grounds that it was crude and rude (much like Charlie Hebdo’s cartoons). After all, this was the man who had lived in hiding for years after the Ayatollah Khomeini issued an order for his assassination because he’d deemed “The Satanic Verses” heretical. If anyone has earned the right to recognize and condemn religious fanaticism and oppression, it’s Rushdie. I was unable to pick a side. For me, that felt alien and frustrating, but also exhilarating. As passionate as the intellectual adversaries felt, they seemed to assume good intent on the part of their opponents. This debate, sometimes lofty, occasionally crude, was not just the petty dispute of people who pile up words for a living. It was waged by journalists and writers, people who use words as vessels of ideas, and who quaintly but crucially believe that ideas and ethics (as opposed to dogma) still matter. They embody free expression at its best — thoughtful people who strive for consensus but accept disagreement. I’m grateful to have been free to witness it.